Buffeted by recent questions over his spending and management at the EPA, Administrator Scott Pruitt has so far maintained the public support of the one person who determines his fate, President Donald Trump. Pruitt is responding to the storm of criticism by emphasizing his success in fulfilling Trump’s war on environmental regulations, such as this week touting a major rollback in auto fuel emissions standards from the Obama administration. 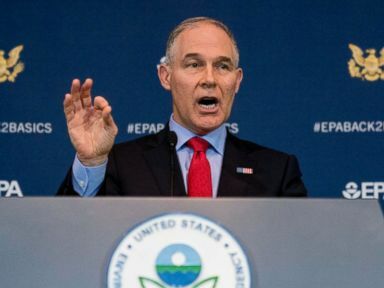 With dozens of Democrats and three Republicans in Congress now calling for Pruitt’s ouster, the EPA chief this week said in an interview that an executive order is coming to change how his agency regulates air pollution like ozone and particulate matter under national air-quality standards. Pruitt said that would be announced Friday but there was no update on it from the EPA or the White House. And he spent most of the interview with the Washington Times talking about his success in pushing the president’s agenda. “We’re getting things done and that’s what’s driving folks crazy,” he said. Whether Pruitt’s full-throated support of Trump’s deregulatory approach will echo more loudly than the hue and cry over his spending and management decisions at the EPA remains to be seen. On Friday, reports circulated that a faction in the White House including chief of staff John Kelly want him gone. Pruitt’s counternarrative has been picked up in some conservative quarters. The Wall Street Journal editorial board wrote Friday that Trump should stand behind Pruitt, saying the administrator is being targeted by people who don’t like his decisions at the EPA. “All of this has made Mr. Pruitt a target of the ruling iron triangle of bureaucrats, interest groups and the press. They’re creating smoke about his spending and ethics to get him fired because he is a political liability, as if they care about Mr. Trump’s liabilities,” the editorial board wrote. Republican Sen. James Inhofe, who sits on the Environment and Public Works Committee and is from Pruitt’s home state of Oklahoma, also issued a statement of support. 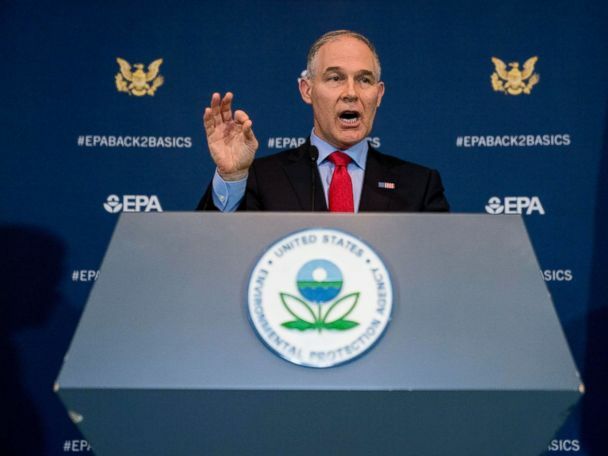 Other prominent Republicans have not publicly commented on the controversy around Pruitt yet, including Sen. John Barrasso, the chairman of the Environment and Public Works Committee who was in his home state of Wyoming with Pruitt when the recent spate of stories started. The latest round of trouble for Pruitt began a week ago when ABC News was the first to report that he had rented a bedroom in a Capitol Hill condo for $50 a night, which was arranged by J. Steven Hart, a lobbyist whose clients include energy companies. Pruitt in a Fox News interview said his living arrangement had not violated any rules. 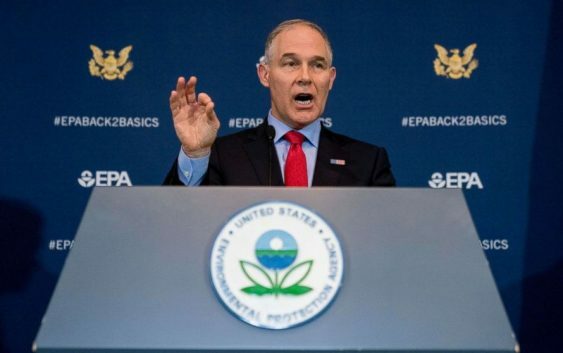 “It was like an Airbnb situation when I was not there the landlord they had access to the entirety of the facility,” Pruitt said. A spokesman for Steven Hart meanwhile said that he is not an energy lobbyist and that he did not lobby the EPA or Energy Department in 2017. Hart’s firm, Williams and Jensen, says on its website that it lobbies for clients with interests in energy and environmental policies that fall under EPA jurisdiction. An EPA ethics official initially defended the rental, finding that Pruitt was paying fair-market value. But the official, Kevin Minoli, said Wednesday he wasn’t provided all of the relevant “factual information” before making that determination. He said he had not considered in his analysis the value of a second bedroom in the townhouse that, as disclosed in media reports, was occupied by Pruitt’s college-aged daughter while she interned at the White House last summer. More news followed, including a report by the Atlantic that Pruitt bypassed the White House to give two aides raises of tens of thousands of dollars through a hiring provision of the Safe Drinking Water Act, and a story broken by The New York Times that at least five EPA officials were reassigned, demoted or asked for new jobs after they expressed concern about the spending and management of Pruitt. A growing number of members of Congress are raising questions about Pruitt, demanding documents and investigations pertaining to the housing arrangement, statements from agency ethics officers, money paid by the EPA for a door broken down at the townhouse by Pruitt’s security team, and the decision to grant raises under the Safe Drinking Water Act. Those requests add to ongoing inquiries into Pruitt’s spending on first-class travel, his security detail, and political appointees. The top Democrat on the House Oversight Committee called for a hearing, saying in a letter that “the leadership at EPA is coming apart at the seams.” Christine Todd Whitman, who was formerly an EPA administrator under President George W. Bush and a Republican governor of New Jersey, said alleged ethical lapses by Pruitt as well as other members of Trump’s Cabinet are undermining public trust in government. “I think everybody is now really focusing on it and it is a question of how long can you stand this negative press,” Whitman told ABC News. She said Pruitt is “hamstringing” himself and the agency with the distracting reports on ethical questions and that the EPA chief could have difficulty working with Congress and foreign leaders if he stays in the job. Pruitt has a track record of fighting for policies backed by industry groups. In his first year at the EPA, Pruitt supported several of Trump’s campaign promises, including withdrawing from the Paris climate agreement, moving to repeal the Clean Power Plan and blocking the Waters of the U.S. rule. When Pruitt was asked on Fox News if he has made mistakes, he cited his success in rolling back regulations. “Any time that you do transformational things, there are critics and there are people that come against you in that regard. 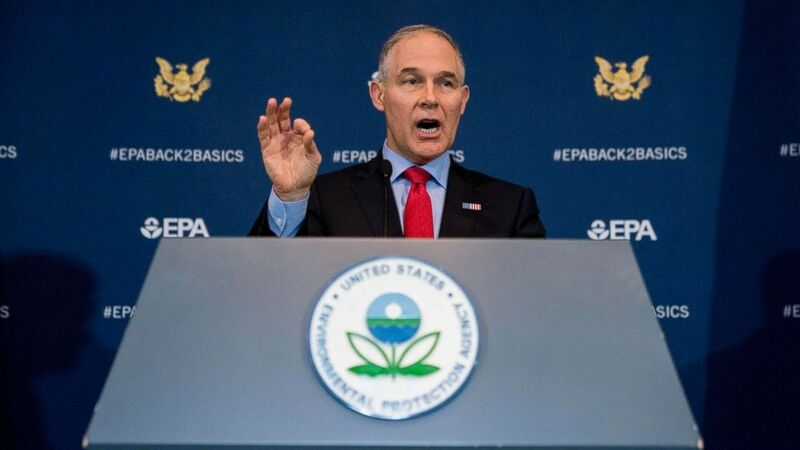 Because this place has been – look it’s been in place for years that has been used by the left, the environmental left, to advance an agenda of picking winners and losers in the marketplace,” Pruitt said.